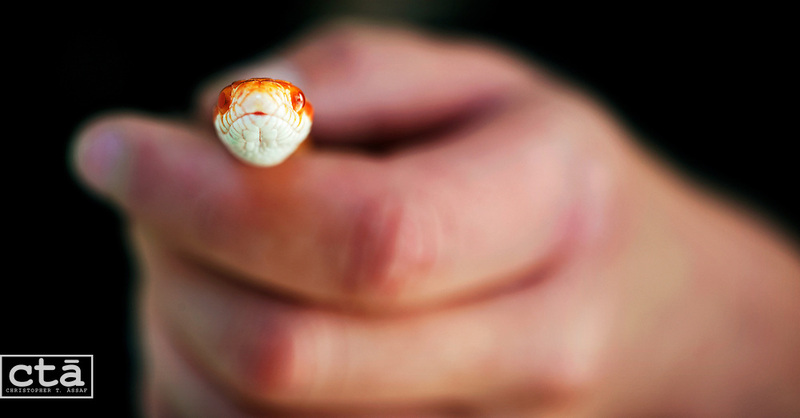 Sneaky the Corn Snake | Christopher T. Assaf Visual Journalist Visual storyteller Christopher T. Assaf lives in Austin, Texas. He works throughout Texas, the Gulf Coast, Southwest, Midwest and available to go almost anywhere. He is an experienced photojournalist specializing in sports, portrait, lifestyle, magazine, corporate, pet, commercial & wedding. He is an award-winning video editor and cinematographer. Cyrus Ballo received a corn snake for his seventh birthday, which he named Sneaky. The snake, which stays in his room, was a gift from his parents Michael Ballo and Joanna Pi-Sunyer who rescued him from a local shelter.